I’ve been sick for the past week and unable to sleep because of this stupid cough and have occupied my time looking at old 80s songs on Youtube. I grew up in the 80s and LOVE the music. I shared a few of my favourite songs with my friend Yolanda who lives in California and was beyond shocked when she hadn’t heard of many of my favourite songs. How could that be????? I did a little research and found a bunch of Canadian artists from the 80s that made it big in Canada, but never crossed over to the US. Thanks to Heather and the other ladies in the BSMB for their input as well! OMG I was shocked that Yolanda hadn’t heard of Luba! Luba has to be one of the best artists to come out of the 80s. Her voice is husky and beautiful. Luba is from Montreal, Quebec. Some of my favourites of hers are Everytime I See Your Picture, Let It Go, Storm Before the Calm, How Many (Rivers to Cross), Innocent (With An Explanation), Giving Away A Miracle, Little Salvation and No More Words. LOVE HER! Lawrence Gowan aka Gowan is a Scottish born Canadian who is most well-known for his 1985 album, Strange Animal. This album featured Strange Animal, Cosmetics and A Criminal Mind. In 1987, his album Great Dirty World came out with the hit single Moonlight Desires (my fave Gowan song). I remember Gowan came to our area in the mid 80s and we dropped my older cousin, Krista off at the concert. Too bad I wasn’t old enough to go! 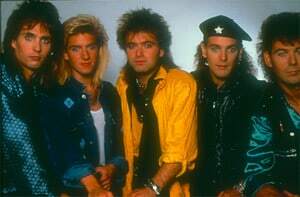 Honeymoon Suite is another well-known Canadian band from Niagara Falls, Ontario (the honeymoon capital hence their name). They released a bunch of awesome songs in the 80s including my favourite, What It Takes (1986). The other ones that were popular included New Girl Now, Burning in Love, Stay in the Light, Wave Babies, Feel It Again and Love Changes Everything. 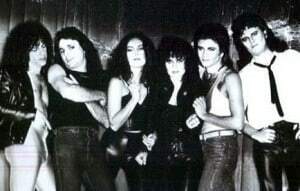 Frozen Ghost is another awesome 80s band originating in Toronto. 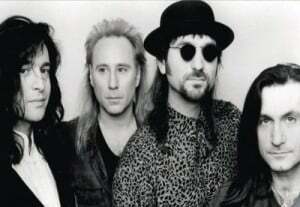 They formed in 1985 and a few hit singles including Round and Round, Promises and Pauper in Paradise. Their best song in my opinion is Dream Come True. It is the perfect wedding song and I read somewhere that the lead singer wrote it for his wife. Actually, my friends Randy and Vanessa had it as their wedding song at my suggestion! My parents had this cassette and my dad always had music playing especially when we were out boating on the Ottawa River. Toronto is a hard rock band from well, Toronto! Their other songs I really like are Your Daddy Don’t Know and Girls Night Out. They remind me a bit of Heart. 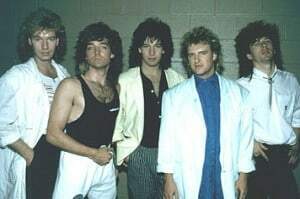 Glass Tiger was a mega huge 80s band with many hit singles including Don’t Forget Me When I’m Gone, Thin Red Line, Someday, I’m Still Searching, Diamond Sun and Animal Heart. They formed in 1983 in Newmarket, ON. 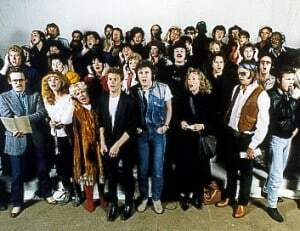 In 1985, a bunch of Canadian artists came together to record this single to raise money for the famine in Ethopia. Haywire came out with Dance Desire in 1987 and it made it to the top 10 in Canada. They are from Charlottetown, PEI. I remember watching this video on MuchMusic. This song reminds me so much of going on our boat in the summer. 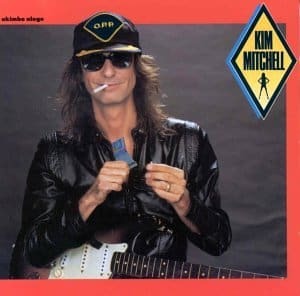 Kim Mitchell (is a man LOL) and he’s from Sarnia, ON. His other song I really like is Go For a Soda. He was born in Sarnia, ON. 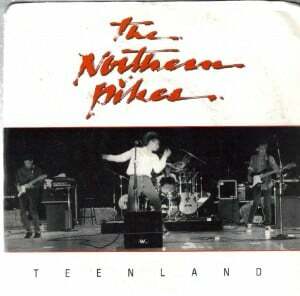 Another song I like of their is Teenland. They are from Saskatoon, Saskatchewan. This band was big in the 70s and the 80s. They first got together in Vancouver, BC and are still performing across Canada to this very day! Wonder if they are still sporting the same hairstyles?? Have you heard of any of these bands? Which ones do you like? Are you crazy about the 80s like me? I have to say that from your list Gowan is my absolute fave… although I was a huge Glass Tiger fan too… thanks for the trip down memory lane! I regret to say that I have never heard of even ONE of these artists. How is that possible? Our countries share so much but not a great deal of our music, apparently. I live in New England, not that far from Canada but, mucially, we could be worlds apart. It boggles my mind! Gotta say that I LOVE the 80’s! Great music-and I have heard of most of those you listed above. I had most of them on cassette tapes. Unfortunately, my ex-husband got mad at me and broke ALL of my cassettes when I left him. I guess it is time to get some of these great songs downloaded to my MP3 player. Definitely need some Glass Tiger and Honeymoon Suite. The 80’s were the best! This is a great trip down memory lane. Now, i want to rock to some 80’s. I have not heard of ANY of these!! That’s crazy!! I’m going to check them out because I love, Love, LOVE 80’s music so it can’t hurt to learn about more 80’s rock!! I grew up in the 90s, but love 80s music.. but I’ll admit, I’ve NEVER heard of any of these songs :p I am from the States though. Ha. I remember the 80’s! Love that era! Glass Tiger would have to be my favorite off your list. What a great era that was! I have to add…what about your somewhat more mainstream 80s Canadians? Among them I’m thinking Corey Hart (HOT!! ), Loverboy, Bryan Adams…? The only one I know is the song by Glass Tiger. The only one i’ve ever heard was Glass Tiger. I grew up on MTV in California in the 80’s. I never knew just how many different famous musicians our countries had until I went to visit my grandparents who lived on Vancouver Island. It was there that I saw MuchMusic for the first time and I had no clue who the majority of those musicians were. I think we were more exposed to British bands than Canadian ones. Very strange! Anyways, Depeche Mode was always my favorite 80’s group and still is today actually.